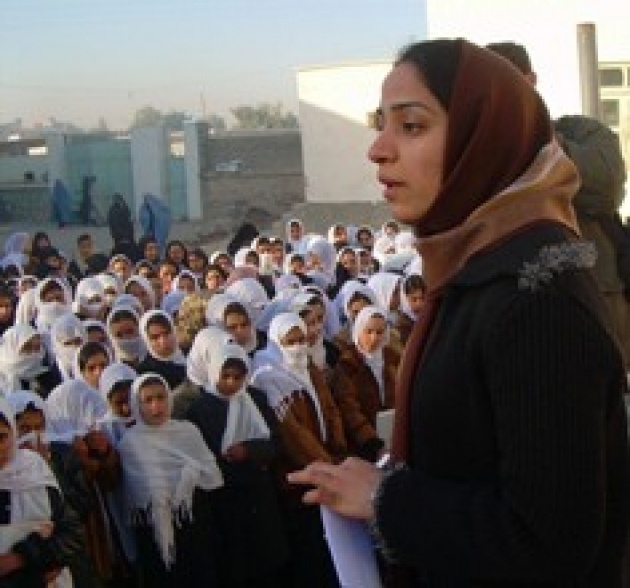 Since the last ten years, Afghan girls’ schools have increased substantially and hundreds of female schools are built in Afghanistan by the co-operation of the International community . Forexample, Guzarah district which is a distant district of Herat province had no girls’ school in the past, and now thousands of girls are going to school and are enjoying the new school building built by the co-operation of PRT. 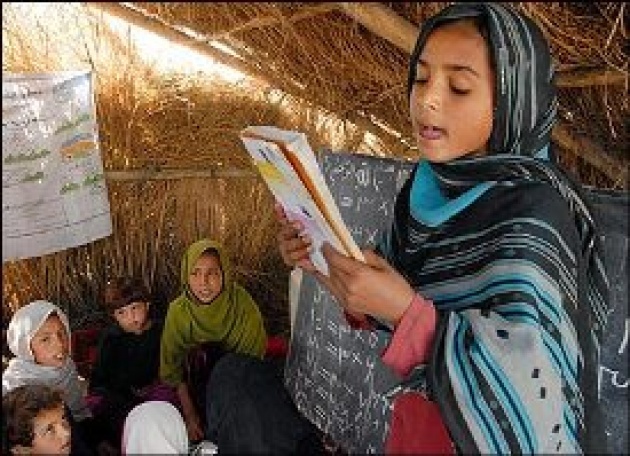 Somaya is a 21-year-old girl, she is an eleventh grader at Rawza Bagh High School and says: during the Taliban rule she couldn’t study school because there were no female schools as well as they were not permitted to go to any other training centers. Thus, she was held back from education and couldn’t continue her education as better as she wanted. She added: “My only wish is to be an educated figure of the country the same as other girls of the world.” She says that she would like to become an engineer in the future and to draw the design of tens of female schools for those girls who study under the tents and are getting sick because of the sun beam shining over their heads. As well as she talked about one of her bad memories while tears were coming from her eyes she said: “My older sister is married and to study University was her only ambition, but she could not study because there were no female schools and girls were not allowed to go to schools during a decade of the Taliban rule not only in Herat but in all Afghan provinces. 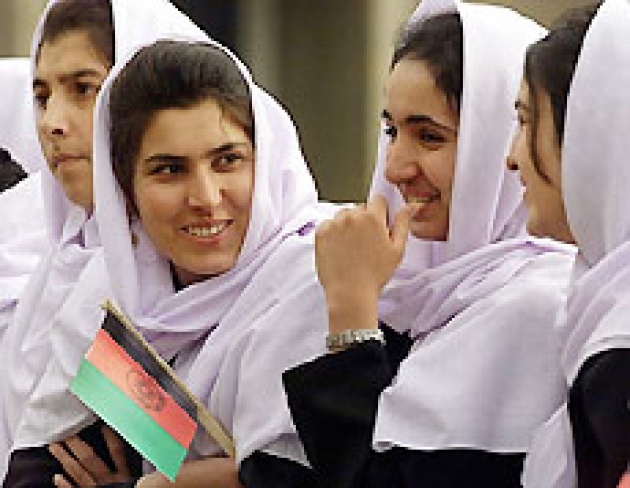 Since the fall of the Taliban and flow of the NATO troops and other International community to Afghanistan, hundreds of both female and boys’ schools are built to Afghanistan. Besides, Afghan people are now hopeful about having a prosperous and knowledgeable future.